The following post has tips to empower the body and mind to overcome fear - co-written by Jeff Laxier and myself (Cate Hawthorne). 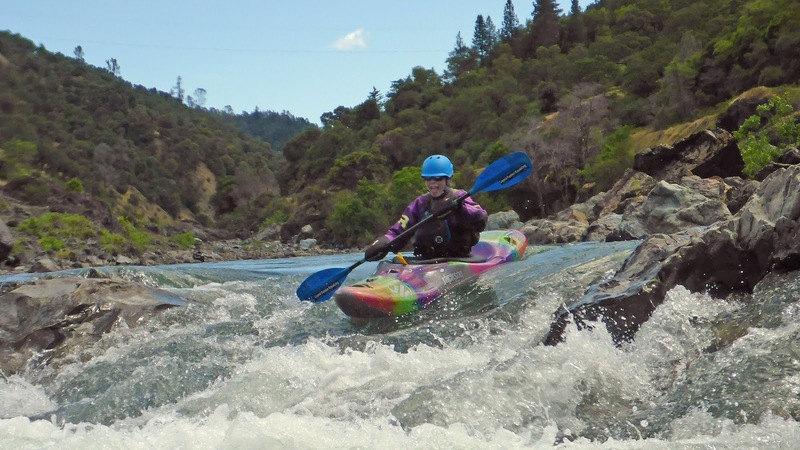 It is written about whitewater river kayaking, but one can apply these skills to many different situations on and off the water. 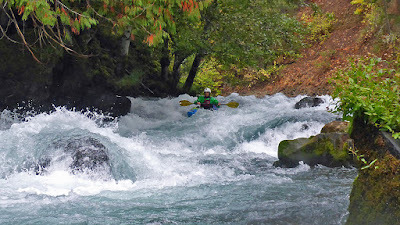 Bobbing in a surging eddy, I bounce above an elevation drop. Time slows, and the river holds me in its trance. 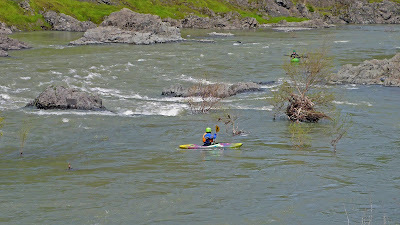 My heart pumps loudly above the roar of the river as I second guess my ability to negotiate the rapid. My inner voice screams “STOP,” and I start to work through my fear. 1. Warrior Cry – Reach deep down into your core and belt out a primal roar. This activates inner strength, positive attitude, and clears the head of “what ifs?” By clearing the mind, it readies the body for action. Don’t worry – no one else will hear you above the roar of the rapid. If they do, they will blow off the stress to by laughing at you or emitting their own warrior cry. 2. Train Hard – Show up at the rapid with the skills necessary to style it. In your training, build general and specific skills that you can apply to the rapid. Examples of general skills include look where you want to go, generate speed, keep strokes forward. Examples of specific skills include precise eddy turns, ferries, and boof strokes. These skills don’t come by just running the river every weekend but are earned with focused practice and training. 3. Visualization – Review the moves that need to be made and rehearse them in your mind. Visualize them and talk yourself through them. Emphasize the positive. Often our minds get in the way of what our bodies know to do. We allow ourselves to doubt our training and skills and focus too much on the hazards rather than the correct line. In your training, focus on building your skills and using positive visualization and self-talk. 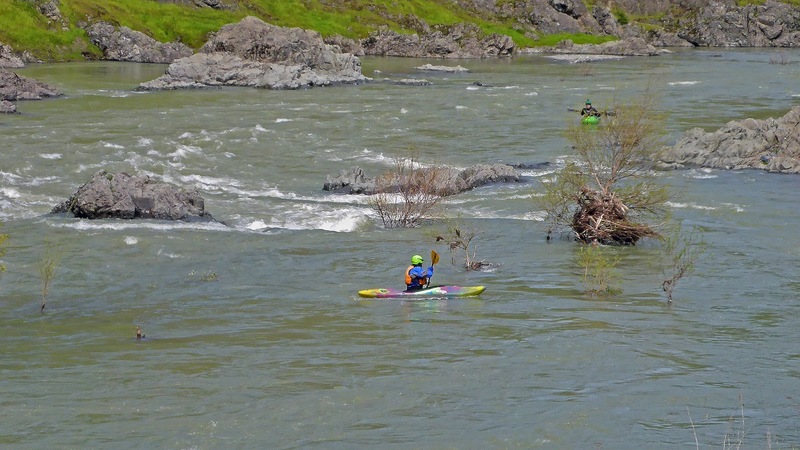 When you get to the tricky rapid, pour-over, or scary wave, use these tools to squelch fear and style the line. Do you have strategies that help with managing fear? If so, please share them in the comments. 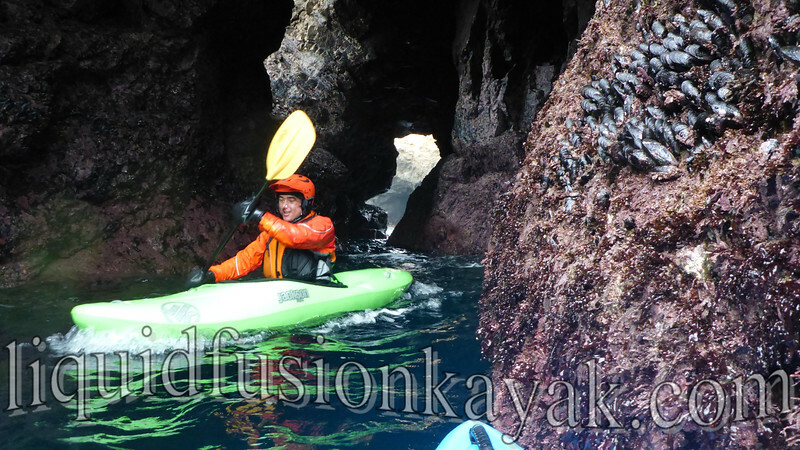 Check out this sea cave kayaking video. 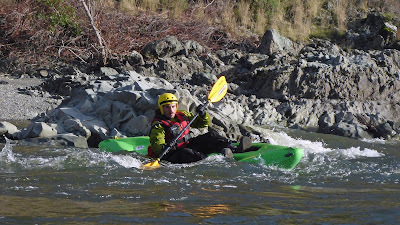 This video was made by a new whitewater paddler who had his first taste of whitewater of the sea and kayaking in sea caves with us this winter on our New Years Whitewater n Surf Safari. 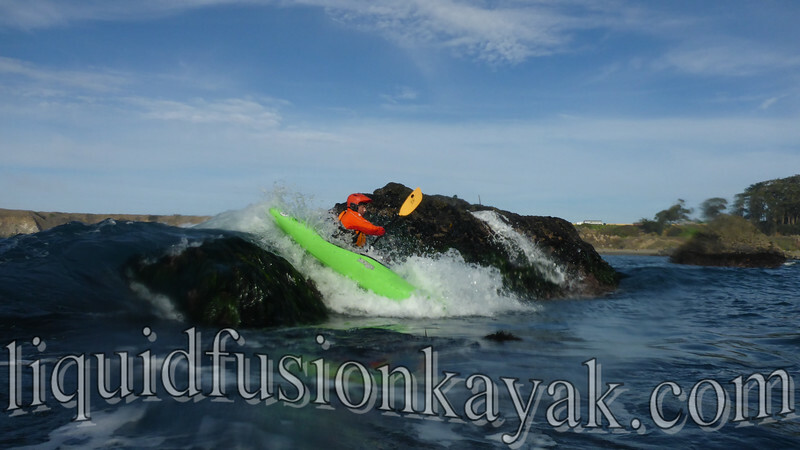 Kayaking in sea caves on the Mendocino Coast with Liquid Fusion Kayaking. He found some caves and whitewater of the sea in his backyard and made this video. Check it out and if you like it - give it a thumbs up and share it. Here's a link. We are stoked to see Cordell out there exploring and playing in the whitewater of the sea and look forward seeing more of his adventures.